The evolution of technology in the recent decade has seen a boom which was never witnessed before in human history. Human development in science and technology kept following a fixed pattern of development till the moment computers were invented and came into our lives. From huge mainframe PCs of the 1950’s to desktop PCs of the 90’s the recent century has seen a lot of booming technology while the graph of technology versus time has gone sky high. Man always struggles to move towards easier items and as time passed people wanted to move on to smaller and more portable technology. Mainframes became desktops , desktops became laptops and so much so that after invention of the cell phone and once it was commercialized in the public people wanted to replicate the same technology of their laptops and computers on their cell phones for ease of portability and flexibility in technology. It is here that the wonders and marvels of science come into action as those technologies that were just imaginable in movies half a century ago are practical gadgets in today’s world with just a span difference of half a century. After the evolution of mobile phones people moved towards further ease of technology and to overcome problems such as traveling during work, old Graphical User interfaces of their cell phones they replicated the same technologies and applications which they used on their computers to smaller versions and replicated them into their cell phone screens. A cell phone is no longer a mere device to call someone or receive messages. It is a mini computer within itself and will fulfill all your requirements by just the swipe of a thumb. Previously completing a single office task would take 3 or 4 physical devices whereas now it is all possible by using one single device. Technology has got smaller and smarter. All the applications and tasks which you previously performed hectically can now be performed while lying in your bed by a few swipes. Previously all your work and business was hampered while you were traveling or going out for excursions. Now your complete office moves with you wherever you go. With the evolution of 3G, 4G, LTE and even 5G technology the power of cell phones has been multiplied and now there has been a clear reduction in usage of laptops as compared to timeline around 2010. With smarter and more mobile cell phones coming this boom in technology is continuously bridging gaps between the world and practically making it a small global village where nothing is out of reach and every individual is accessible. If someone from the 1950s were to come in today’s world and observe the technologies being used, he would call it fake and unbelievable. In fact technology has so drastically prospered that he would definitely like to back to his own time. The credit for all of this boom goes to Android which is the main open source operating system behind all the technologies we see on our mobile phones. Android has swept over the technological industry and as compared to its competitors i.e. Apple it is far more versatile and more used throughout the world. From a farmer to a business man everyone can afford a cell phone with Android operating system and that too with ease. 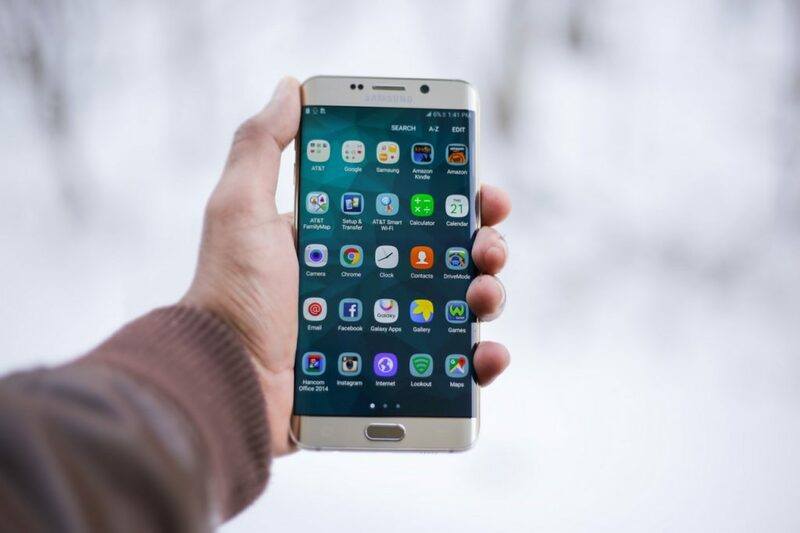 Android has increased the technological connectivity and made an infinite series of communication links between people. With so much ease and comfort in our hands today, we owe it to developers of Android who were the pioneers of this idea of possession of technologies in your own palm. Desktops and Laptops no doubt have their importance but their age is slowly getting over. The same functions and prospects which we used through laptops and desktops are now being used by Android based cell phones. And if Android continues to evolutionize at this pace very soon we would see Android taking over complete technological world. Unlike other platforms android does not have a class to define. It is not for a specific group or a class of people. It is for everyone and everybody. Due to its vast use Android gives you literally thousands of options to choose from according to your budget and you can get yourself a nice and sleekly designed cell phone. Android has eased up our lives in so many different ways that it is not possible to list them in one single article. So start with we discuss the ease of lifestyle. Now while just lying on your bed without even turning on your laptops you can buy groceries online, do online shopping from famous sites like amazon etc. The amazing thing is that you can even have some entertainment like gambling online due to ease of technology i.e. New Slot Sites. The crux of all this discussion is that now you do not have to leave your bed if you do not want to, just sit in your home and relax science and technology has it covered. May it be anything studying, shopping, gambling, spiritual time you will have all the access to these things by using your cell phone. In a nutshell Android has made lives easy and more meaningful. The world has seen itself develop into a much better place after the evolution of Android. A Technology is never harmful, it is the way in which it is used that decides the outcome of that technology. The way we use this technology and develop it will decide the future outcome that how it will affect our lives. If we keep drifting it in a positive line then it will have a positive effect and vice versa. The article will close with the famous saying of Albert Einstein that “It is not the gun, It is the man behind the gun”.